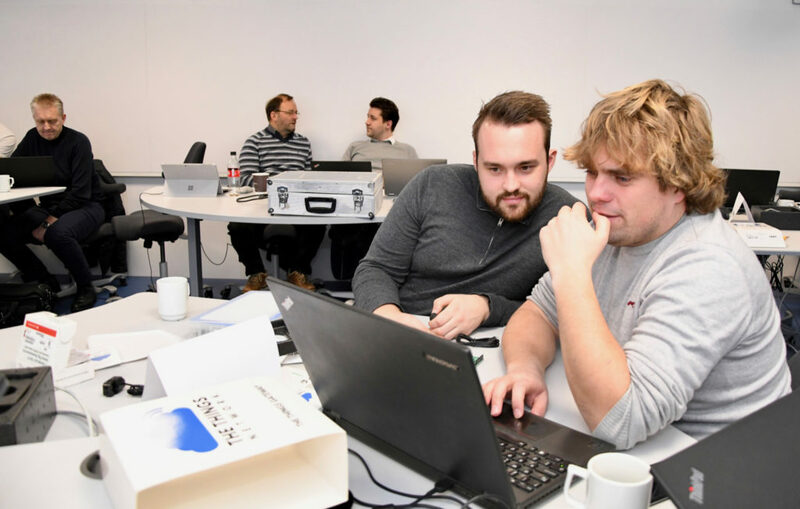 MHWirth was one of five GCE NODE companies at a hackathon for wireless technology. Wireless low-power sensor technology lowers the price on data collection, allowing for better and cost-saving products and services. 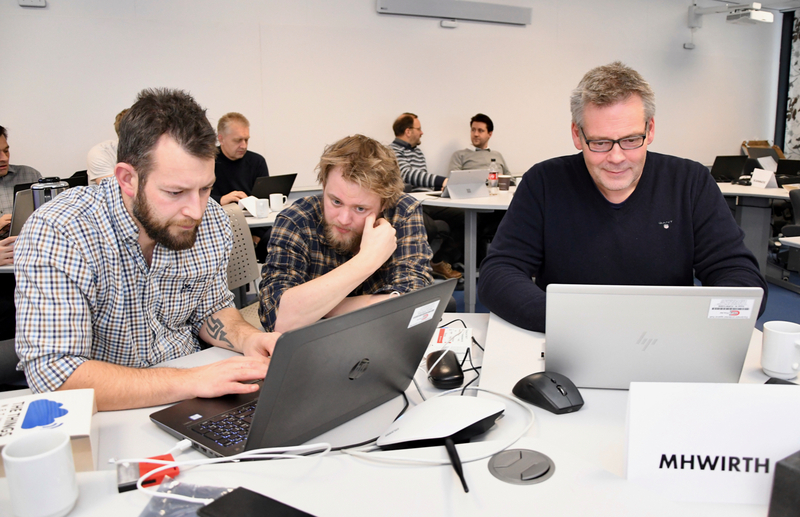 This is what GCE NODE companies experienced during a hackathon in Grimstad Thursday. Their assignment: Set up your own wireless network and find ways to make it useful and profitable for your company! 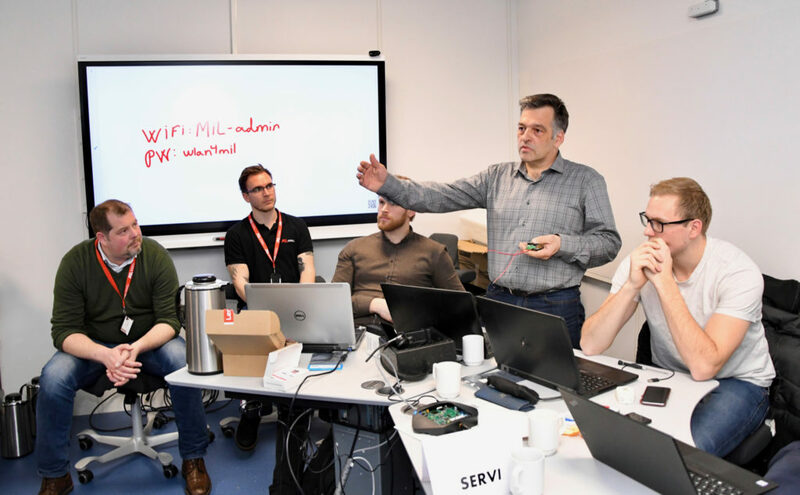 Five GCE NODE companies participated in the hackathon: MHWirth, Scanmatic, Tratec Norcon, Norsafe and Servi. 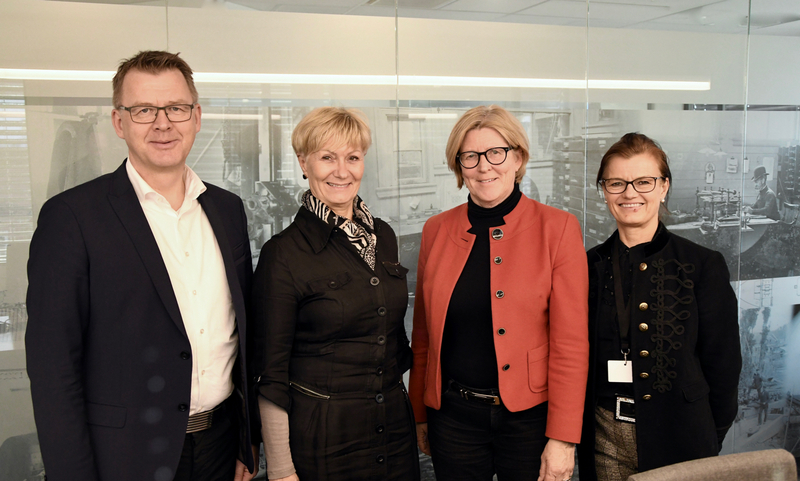 All companies fielded a group of 2-4 people who worked together to familiarize themselves with the technology and to find practical applications for it. “Learning to set up your own wireless sensor network, using new technology, is the easy part. 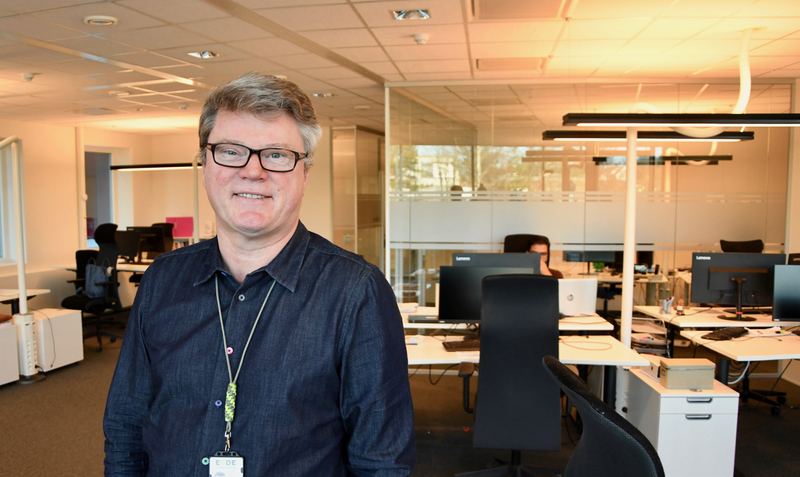 How to make use of it to improve your business and increase competitiveness, is the hard part,” says Jan Helge Viste, Project Manager Digitalization at GCE NODE. 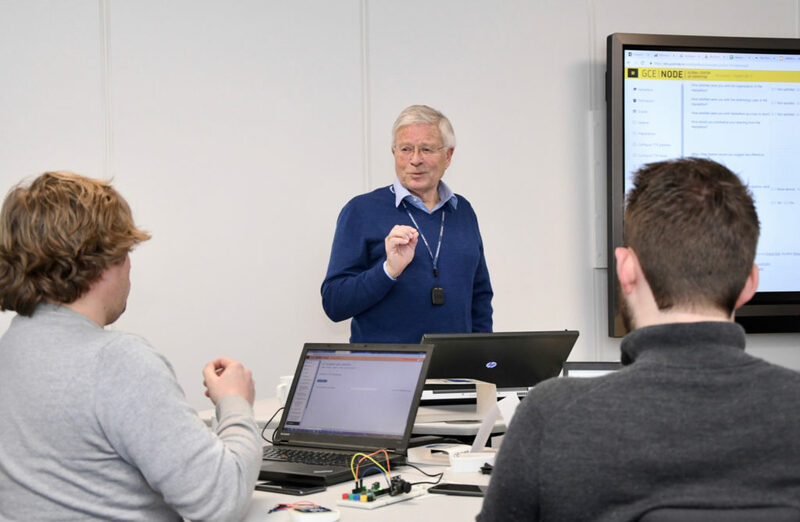 Participants worked practically to test various wireless sensors and learn about various transmission technologies and their advantages and disadvantages. 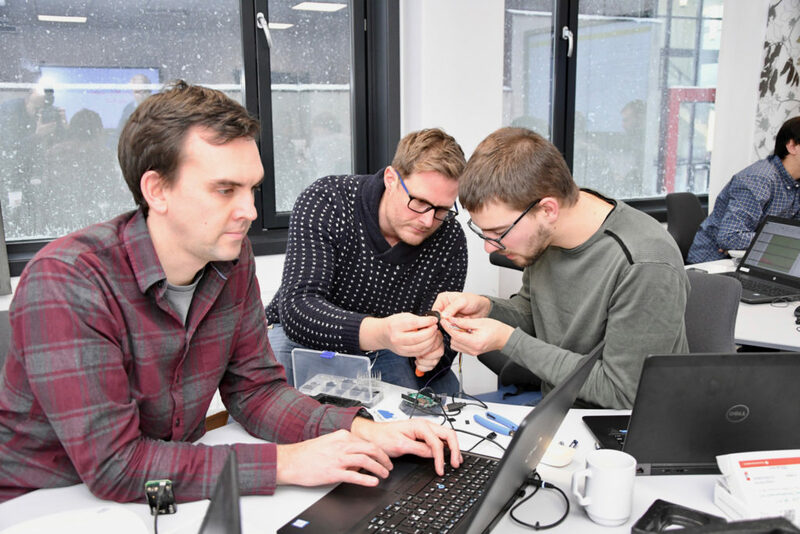 The hackathon focused on LoRaWAN, NB-IoT, LTE-M, and ISA100, that is a wide range of technologies from ICT, telecom and automation. The practical testing was mainly based on LoRaWAN technology. “Building your own wireless network is an affordable way of collecting data. It might also be the only way to collect data from remote places without access to electric power or internet connection,” explains Viste. Wireless sensors and networks are rapidly developing into valuable tools for increased digitalization. Based on low power wide area networks (LPWAN), the cost of data transfer is dramatically reduced. “Sensors or transceivers can now operate for up to 20 years, powered by the original battery, and signals can travel 15 kilometers or more. This presents a wide array of business opportunities, that should be explored,” says Viste. The hackathon was a cooperation between GCE NODE and Mechatronics Innovation Lab. 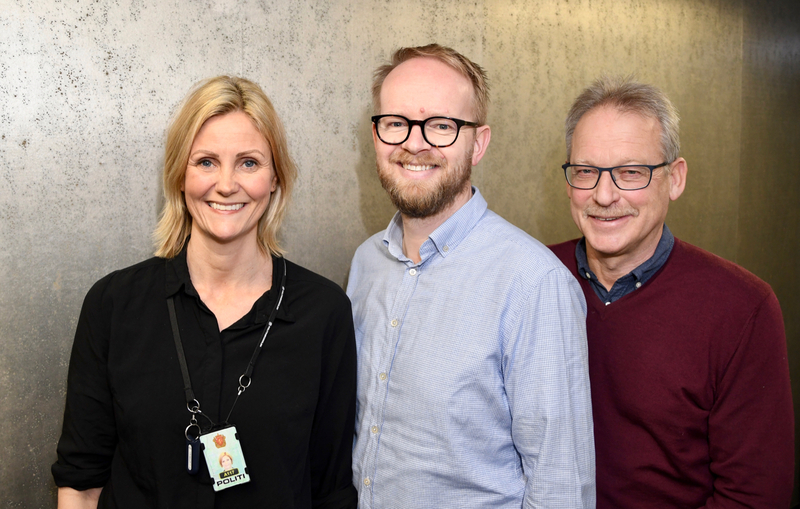 It is part of a project funded by The Nordic Council, which includes two international partners: Latvian IT Cluster and Future Position X (Sweden). Both partners run hackathons in their respective countries to identify best practice for hackathons for businesses. “As organizers, we were highly impressed by the competence level of all participating teams, which exceeded our expectations. This is good news for future technical innovation in the region,” says Viste. Tratec Norcon team at hackathon. 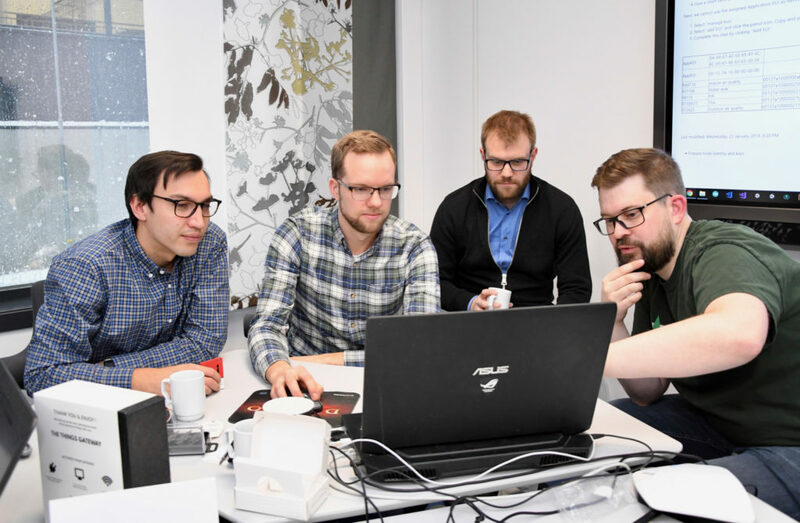 Norsafe team at the Hackathon in discussion with the instructor and coach Eivind Holt (far right). Harald Holt was one of the organizers of the hackathon.